What I came home with (after a trip to Whole Food Market) was Antipodes Grapeseed Cleansing Butter. You may be able to tell, if you know either cleanser, that I was really trying to find something the-same-but-different. It is a lovely balm, with slight texture, to massage in and remove with a nice hot cloth. It works on the eyes too, which is a must for me as I hate the fuss of taking off eye make up. And it does do its work bravely, making easy work of mascara. It is actually quite grainy (from the hibiscus flower it contains), nothing that would hurt and certainly nothing that would endanger your eyes. And I tell you what, its lasting blooming ages. I bought it about two months ago and I reckon I have another couple months worth in there at least! Maybe longer. In fact, I’ve started using more and more of it just to try and run it out. For fun! The main players are sweet almond oil, shea butter and coconut oil so you know you are definitely getting good cleansing action with these babies. Plus there is harekeke seed oil which is a new one for me, intended, along with blue chamomile to soothe the skin. It also is a good antibacterial which is what you need in a cleanser. 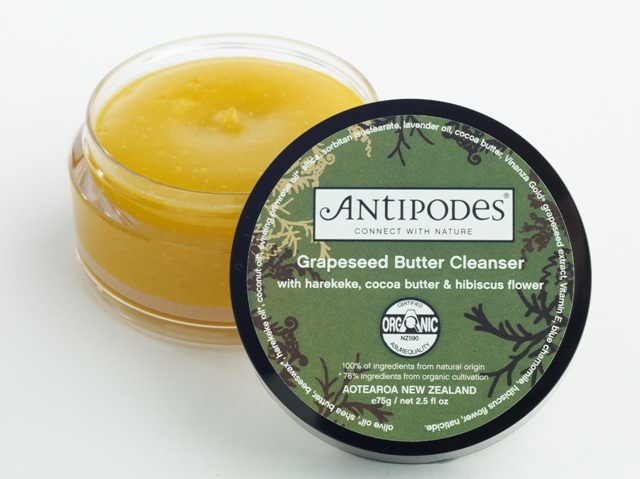 And here is the really good bit, it also contains the sauvignon blanc grapes of New Zealand, the Vinanza Gold grape seed extract, which gives your skin that lovely, relaxed glow that usually only comes after a nice glass of dry white. Wonderful. I love Location Location Location and Relocation Relocation. And also Grand Designs. But I really love each one of those programmes when they repeat them with an extra part - REVISITED! Kevin McCloud pitches up in his Barbour and boots with a whole monologue of insightful and slightly irritating architectural analyses written on the back of his hand and you get to see how that stainless steel conservatory worked out or what they did with that dated old 'two up two down' with front garden and side access and a rotten roof. So, you know what? 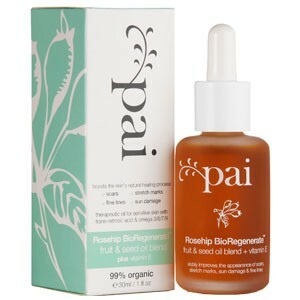 I thought I'd do the same and revisit Pai's lovely Rosehip oil as I have been using it solidly for ages now and it really is something special. I wrote a post a wee while back now so read the original here. I ran out of a particular facial oil I was loving (Suti) and with the inconvenience of buying online when you are working all over the goddamn place and trying to track down natural products in the usual rubbish high street stores I decided to stick with something that I already had and was a tried and tested hit. The BioRegenerate is such a potent rosehip oil which is excellent for straightening out your skin, repairing damage, keeping oil production in check and bestowing a youthful glow upon one’s bonnie wee cheeks. I have been using it and nothing else, morning and night for well over a month and I have to say, after switching completely to facial oils maybe even six months ago now, my skin has definitely become more refined. It seems less congested around my nose. There is a certain smoothness or dare I say plumpness to my complexion, which given that I'm getting an average of 5 hours sleep a night what with work and all, I think that is nothing short of fantastic. I can’t recommend using facial oils enough in place of regular moisturiser. And if you really don’t like the idea of only using oil at least make the switch at night time when your skin goes into it’s repair phase. But it’s worth reiterating here that I really don’t feel it makes my skin oily or takes too long to absorb. After cleansing my face, I put maybe three drops into the palm of my hand, press it in and by the time I have inspected my brows for plucking, I’m ready to go ahead with the rest of my make up. So please don’t be put off using it in the morning. I really think it makes a difference. So there you have it. Pai BioRegenerate : Revisited.